I work for a transport company about 45 kilometres from the Home QTH. 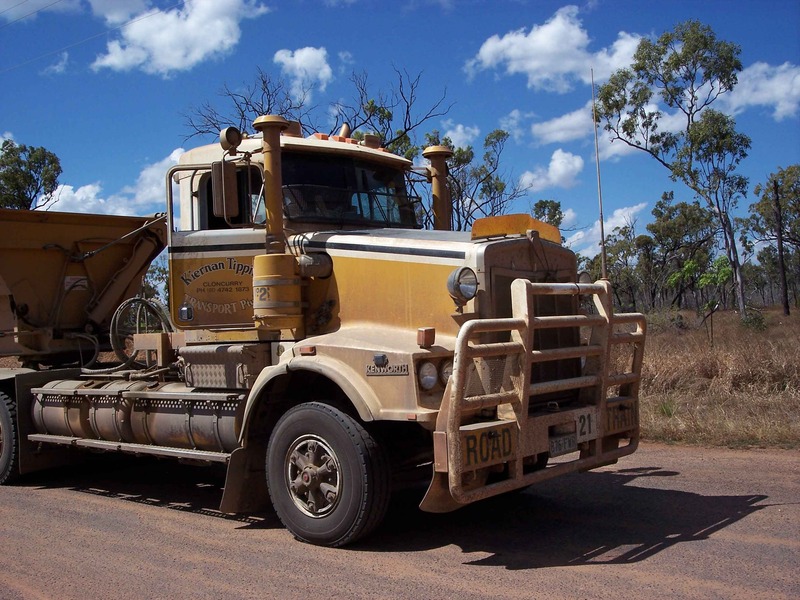 We transport Copper, Zinc and Lead ore from the mine site about 150 kilometres from Mt. Garnet back to the processing plant. 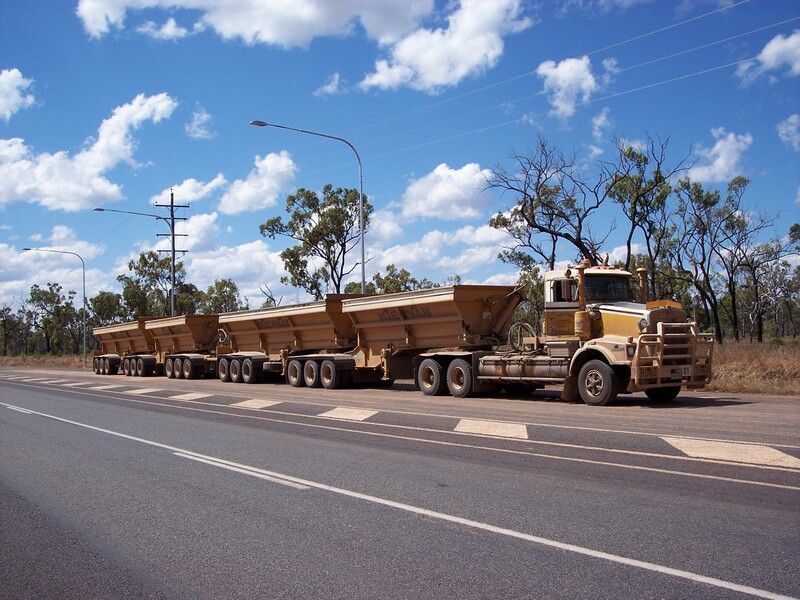 The trucks are called Road Trains and are 55 metres long and when loaded weigh in at 125 tonnes. The picture is of the truck I drive. The mine we haul the ore from is called Surveyor and is located on a lease which is on a cattle station called "Conjuboy Station which is a large area of land south of Mt. garnet in an area famous for mining. This area of Queensland is also famous for Gold and Gemstone fields which have been mined both commercially and by "Private Mining Leases" for many years. The Gemstones commonly mined are Saphires.